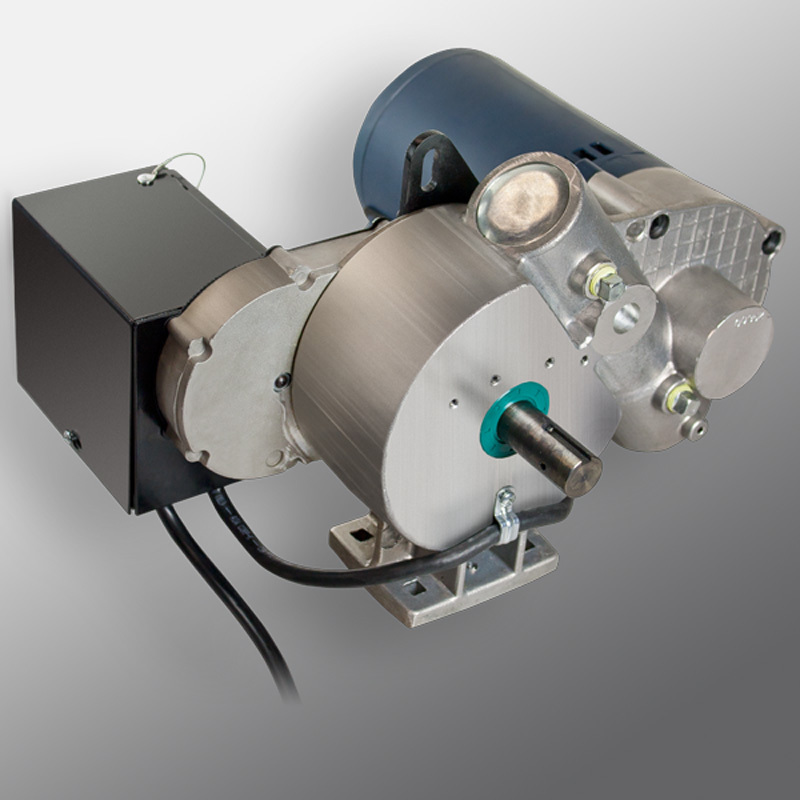 High Torque Gym Divider Curtain Winch - C129.022 :: Draper, Inc.
Hardened steel gears with a powerful, instantly reversing ¾ hp motor, the High Torque Gym Divider Curtain Winch produces over 2,800 in-lb (316.4 Nm) of torque, while running at 8.125 RPM. The cast, high-strength metal alloy gear case is filled with oil, precision ball bearings, and premium seals. Engineered to last, they provide superior performance and maintenance-free operation. The versatile light-weight, low-profile design can be used for large sizes of Draper Fold-Up, Top-Roll, Roll-up, Radius-Fold divider curtains, and practice cages when extra torque is required. Includes three-position, momentary-contact wall switch. Optional wireless remote or group control systems available.